A new report from data quality management company Blazent and 451 Research shows a disconnect between businesses' desire to pursue machine learning analytics and the quality of their data. 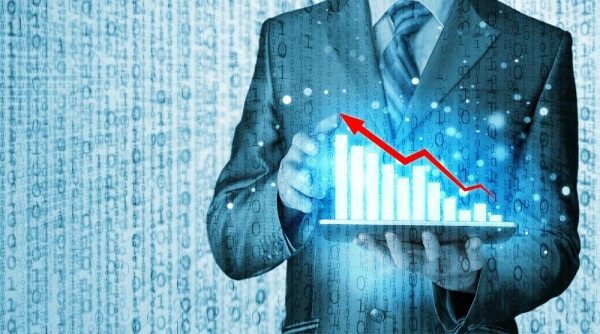 The poll, of 200 C-level and senior IT leaders, reveals that despite the 67 percent of respondents that have a strong appetite for advanced analytics technologies, 60 percent have low confidence in their organization's data quality management practices. The findings show the pace of adoption for more sophisticated algorithmic analysis is accelerating more quickly than originally anticipated, with 22 percent of respondents already having a program in place and 42 percent planning to implement one in the next 12 months. However, nearly 40 percent of companies are still relying on rudimentary manual data cleansing processes so they'll struggle to capitalize on the promise of improved analysis. "As foundational as data quality is to an organization's success we continue to see that a majority of IT Execs are not confident in their data quality management practices. The pace of change and seemingly never ending increase in the amount of data and data sources are significant drivers of this lack of confidence. And, critical business decisions are made without a complete and accurate picture," says Charlie Piper, CEO at Blazent. "These findings further validate how crucial it is for IT and the C-suite to continue to prioritize data quality, employing an organization-wide streamlined process for data management". Other findings include that, in addition to the 67 percent of respondents who will use machine learning for predictive analytics, 66 percent will use it to enhance their recommendation engines and 59 percent for analysis segmentation. More than half of respondents weren't sure if all of the data sources required for their business purposes had been integrated before the cleansing process. In addition almost 45 percent of organizations are in a reactive mode -- relying on reports to find data errors, then hoping the proper corrective, often manual, action takes place. Half of respondents believe that the data quality management practices they had put in place, and therefore the quality of data used, were only satisfactory/good enough. Worryingly, almost 10 percent of organizations had avoided DQM completely, opting for a 'hope for the best' approach. You can sign up for an on-demand webinar on the importance of data quality in the enterprise on the Blazent website.